‘Queen’ ballet flats from the kids’ line of Brazilian-based label, Mini Melissa. 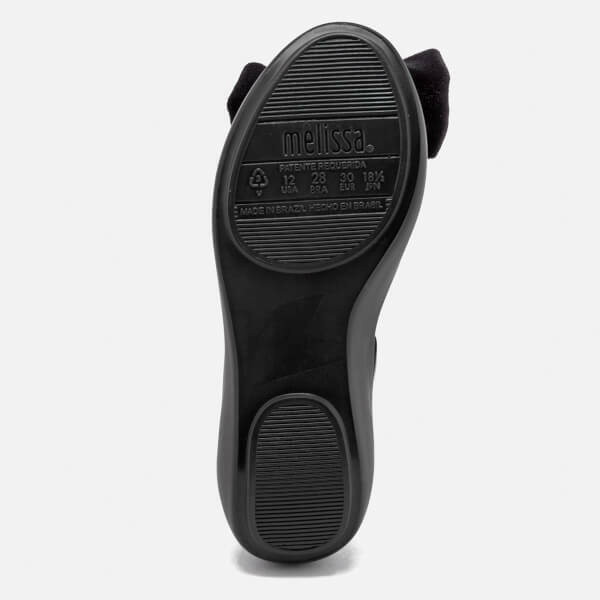 Made from a smooth, flexible plastic upper, the pumps form a low profile silhouette with a slightly raised, contrast panel at the ankle. 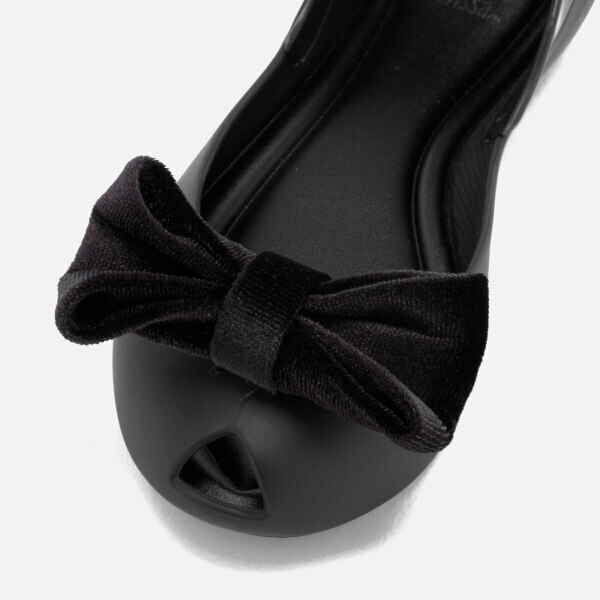 Detailed with the signature peep-toe cut-out and an oversized, velvet-crafted bow. Finished with debossed ‘M’ monogram to the side.